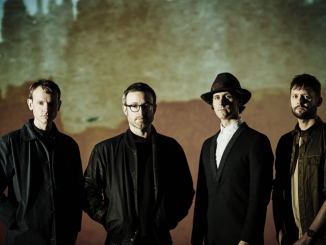 Maxïmo Park are pleased to mark their 10th anniversary with news of a series of live shows in November 2015. Celebrating ten years since the release of their debut ‘A Certain Trigger’, the band will play the album in its entirety, along with a special selection of single tracks and rarities. Maxïmo Park formed in Newcastle and their five albums have sold in excess of 2.5 million copies including three Top Ten UK placings, achieving double platinum, platinum and silver in the UK. 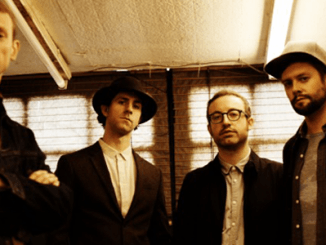 Renowned for their energetic live shows, Maxïmo Park have numerous sold out tours to their name, including various headlining arena shows in Europe – the band’s previous (sold out) UK tour came last year in support of their last album ‘Too Much Information’. ‘A Certain Trigger’ and ‘Missing Songs’ – comprising of B-sides and demos from sessions in 2005 – have been re-mastered and will be available on limited edition vinyl on 30th October. Maxïmo Park will be sharing a rarity every week leading up to the 10th anniversary shows via their website www.Maxïmopark.com where you will currently find the original demo of ‘Signal and Sign’ the opening track from ‘A Certain Trigger’ and the original demo of ‘Now I’m All Over The Shop.